Do you know what the number one cause of arguments is among spouses? If you said children, dishes, or laundry, you would be incorrect. 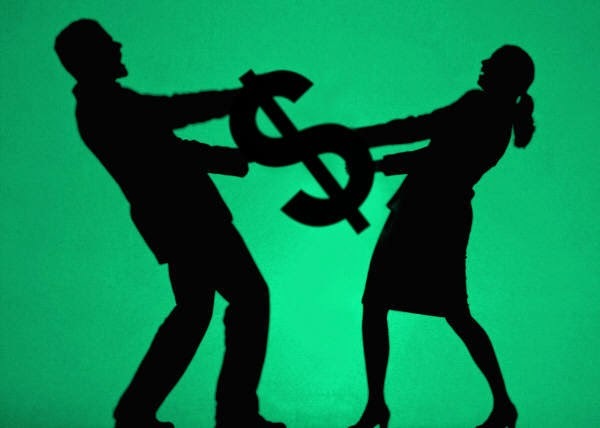 Studies have shown that the number one cause of spousal arguments is money. Failure to communicate is most often the cause of money issues in relationships. This sometimes originates before marriage, and sometimes after marriage. Whether the lack of communication is intentional or not, spouses have more difficulty working together towards their financial goals if they are not both fully on the same page. Talking about family finances on a regular basis is key to having a healthy financial relationship. This usually isn’t a first-date topic, but should definitely be discussed before wedding bells ring, and continually after the echoes of the bells have faded away. In 2012 the AICPA released some helpful tips on financial communication (AICPA press release). It may not contain all of the answers, but it definitely holds a good starting point.